Political activism in Northern Ireland became highly inflammable in the late 1960s. The period of unrest and aggression became known as the Troubles. Unofficially, the Troubles lasted from the 1960s up to the Good Friday Agreement of 1998. Over 3500 were killed during those times of strife. The combatants in the conflict were those who wished Northern Ireland to remain part of the United Kingdom and those who wished it to be a part of the Republic of Ireland. The former were mainly unionists and loyalists from the Protestant community (and descendants of the English and Scottish settlers from the 17th century plantation of British loyalists). The latter were Irish nationalists and republicans from the Catholic community. To add to the sectarian problems, the Catholics believed that they were victims of discrimination and civil rights abuse in Northern Ireland. 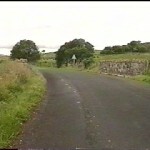 The 280 mile border between Northern Ireland and the Irish Republic has 260 crossing points. Arms and explosives were smuggled into Northern Ireland until the British army closed most of the crossing points. Before that, the border was almost undetectable. It was usually an invisible line on a country road. The British army closed these by adding spikes and building walls across the roads, as well as blowing up sections of roadway. They approved checkpoints, guarded by soldiers, on selected roads that were heavily travelled and critical for commerce. Closing the border roads caused great hardship on families with family members and property on both sides of the border. Now they had to travel miles to get through a checkpoint when previously they only had to travel a short distance on a country road. This was the case for families living in Aghyaran Parish in County Tyrone and Donaghmore (Killygordon) Parish in County Donegal. Many had friends and relatives in both parishes. All five border crossings between parishes were closed by the army. 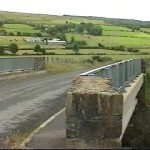 Laghtfoggy Road into Donaghmore was closed at the bridge over the Meenluskeybane Burn with spikes and a wall. 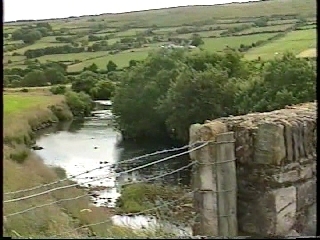 The roads into County Tyrone from the bridges over the Mourne Beg River at Meenreagh and Croagh were destroyed. 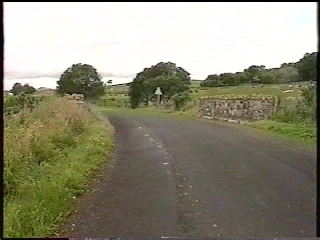 At Carn Hill, the road from Killygordon to Killeter was blown up at the border, as was the road from Cronalaghy to the Tyrone townlands of Laghtmorris and Garvagh Blane. 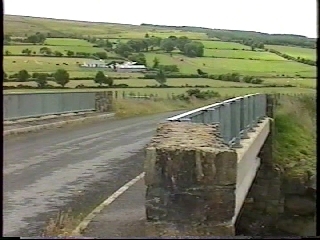 The nearest approved border crossing was on the Castlefin to Castlederg Road where a checkpoint was located and manned by soldiers. 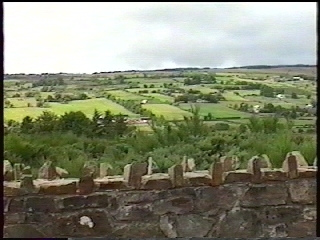 The border crossings were re-established shortly after the Good Friday Agreement took effect in 1998. This is a little off-topic and far from the Finn and Derg Valleys. Our first trip to Ireland was in celebration of our (multiple years) wedding anniversary. Although we spent quite a bit of time in Donegal visiting the sites of our Irish roots, we did some travelling around southern Ireland. 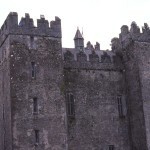 Before leaving for America from Shannon Airport, we stopped for a day at Bunratty Castle, very close to the airport. 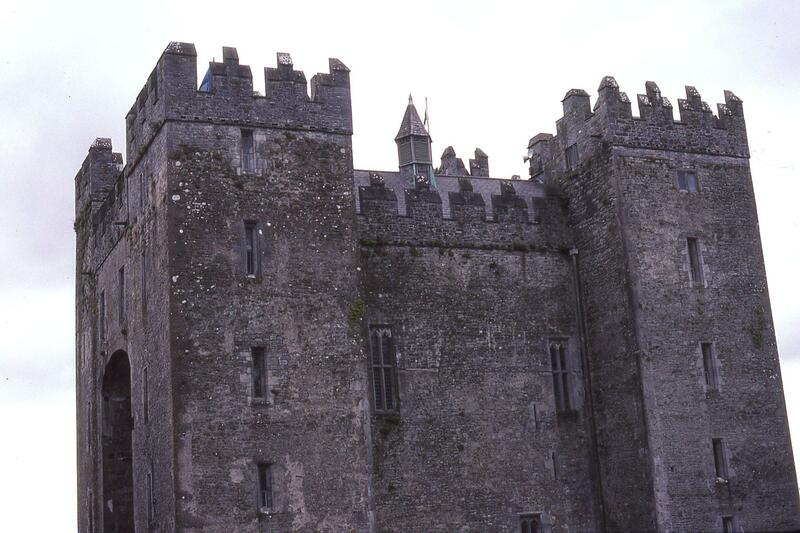 Bunratty Castle is like an “Irish Theme Park” and has everything necessary for a quick immersion into Irish culture. 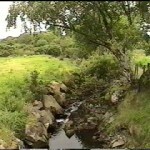 There are great pubs near the castle grounds with traditional Irish music; there is a wonderful folk park on the premises; there are shows of Irish music and dancing in the castle; there is the famous medieval banquet in the great hall of the castle; and there is a tour of the castle with its chapels, dungeons, and restored furnishings. There were several fortifications built at Bunratty over the years, from Viking camps to motte and bailey castles of Norman settlers. 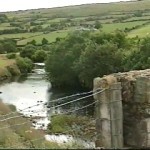 The present stone structure was built in 1425 by the MacNamara clan. In 1500, it was captured by the O’Briens of Munster Province who made it the clan’s main headquarters. It remained in the hands of the O’Briens, the Earls of Thomond, for most of its history. Bunratty, meaning “mouth of the Raite River” was an important location for defending the River Shannon. 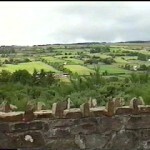 From its battlements at the top of its towers, one can see the Raite, the Shannon, and the beautiful Irish countryside. 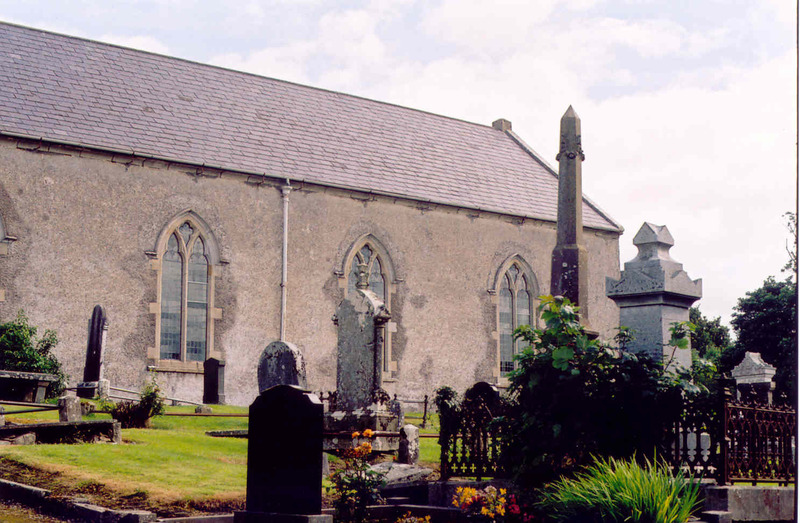 In the “Brief Account” written two centuries after St. Patrick died, the author Tirechan tells us that St. Patrick travelled through the Barnsmore Gap to Magh Ithe where he established a church which he called Donaghmore. 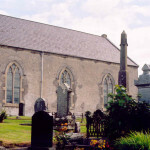 After doing so, he departed to establish the churches of Inishowen. In the 10th Century document “Tripartite Life,” it is written that St. Patrick left a man named Dubhan in charge of the Finn Valley church. 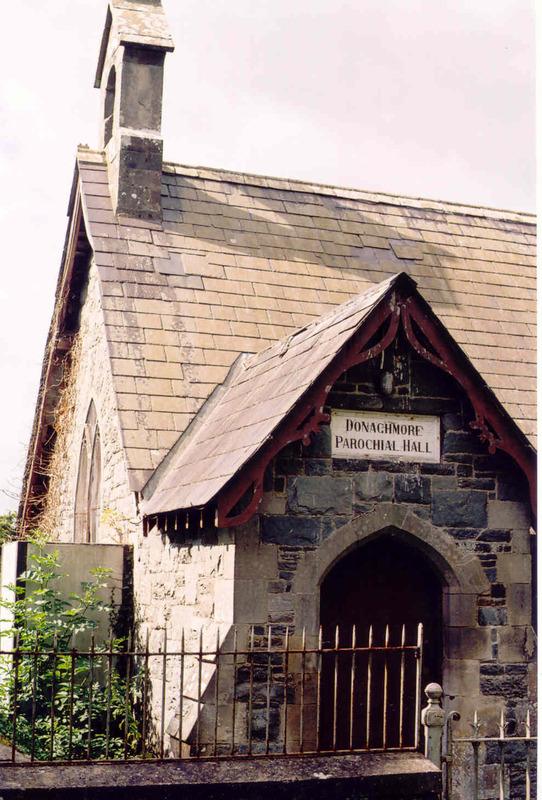 The name Donaghmore is from Dombnach Mor which means “big church.” Dombnach is an Irish word from the Latin word for church (dominicum). 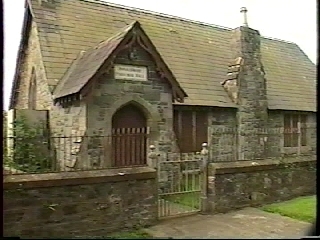 The site where St. Patrick’s church was located is thought to be where the Donaghmore Church of Ireland is located today. 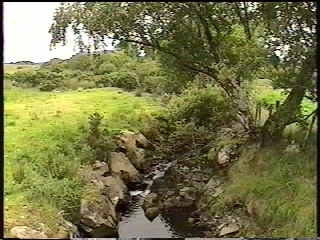 It is on the south side of the N15 road between Killygordon and Castlefin. 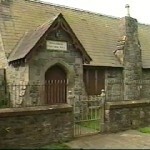 The church used to be part of the Catholic Diocese of Derry. 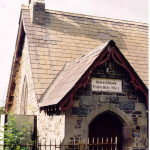 After the Protestant Reformation, it became an Anglican church and supported by tithes collected from all landholders in the parish. 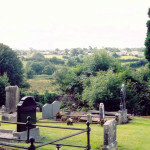 The cemetery there was the only cemetery in the parish in the 18th century. 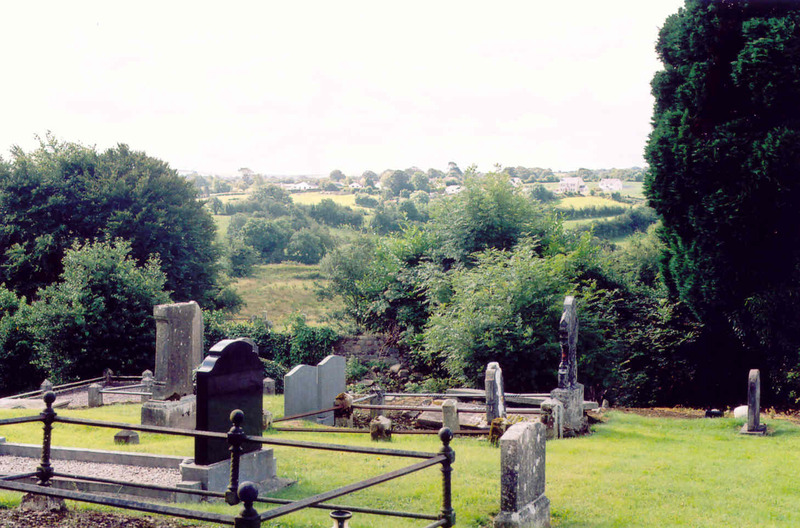 With the blessing of the Protestant vicar, Catholics continued to be buried there until a cemetery was established next to the Catholic chapel in Crossroads.